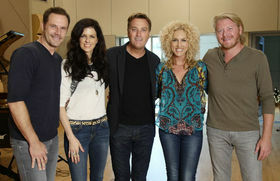 Three-time GRAMMY® winner Michael W. Smith partnered with Rolling Stone Country today to announce the September 30 release ofMichael W. Smith & Friends: The Spirit of Christmas, featuring an all-star lineup of guests – Vince Gill, Lady Antebellum, Little Big Town, Martina McBride, Amy Grant, Carrie Underwood, Jennifer Nettles, Bono and Michael McDonald. 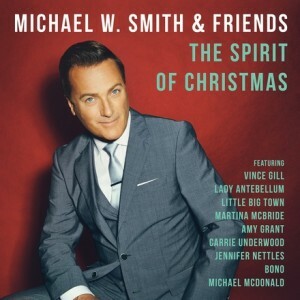 An acclaimed singer, songwriter and musician who has sold more than 15 million albums,Michael W. Smith & Friends: The Spirit of Christmas is Smith’s fourth Christmas project, following the successful releases of Michael W. Smith Christmas (1989), Christmastime (1998) and It’s A Wonderful Christmas (2007). Marking his debut as an album producer, CMA Awards and CMA Country Christmas producerRobert Deaton was inspired by Smith’s performance with Jennifer Nettles during the 2013 CMA Country Christmas television program, and suggested to Smith they create a full Christmas recording as co-producers. The two welcomed renowned orchestral maestroDavid Hamilton as a third co-producer, who arranged and oversaw the London Symphony Orchestra’s recordings on the project. Eager to create a one-of-a-kind project to be played at Christmastime for years to come, Smith and Deaton were inspired by the original Carpenters Christmas album, wanting nostalgia to hit listeners right at the top of the record. Thematically, the album is uniquely divided into three sections, creating an overall arc to the recording. Beginning with the childlike and wintery aspects of the start of the Christmas season, the collection evolves with songs and instrumentations reflecting the true meaning of Christmas with the celebration of family and faith, concluding with what Christmas brought to the world, the birth of Jesus. This fall, Smith will bring holiday cheer to audiences across the country as he launches “The Spirit of Christmas Tour.” Smith’s long-time friend and fellow GRAMMY® winner Amy Grant will co-bill with him in Dallas, Minneapolis and Atlanta. Tickets for many shows are on sale now. 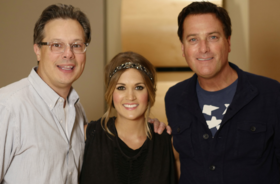 For a full list of tour dates, and ticket information, visit michaelwsmith.com/tour. 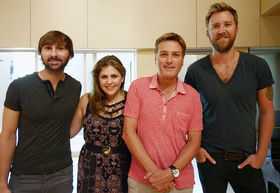 Michael W. Smith is an acclaimed singer, songwriter, and musician who has sold more than 15 million albums, achieved 28 No. 1 songs, earned three GRAMMY® Awards, one American Music Award, and more than 40 Dove Awards. Most recently, in honor of ASCAP’s 100th Anniversary, Smith, along with Amy Grant, was honored as “a cornerstone of Christian music,” for his groundbreaking career and significant influence on the genre. Throughout his career, the Contemporary Christian Music artist has had the opportunity to sing for several Presidents and national leaders. He actively supports the teen club Rocketown, Compassion International, and Samaritan’s Purse, the ministry headed by Franklin Graham. Michael and his wife Debbie live in Middle Tennessee, where they raised their five children. So far this year, Smith has released Hymns, his first-ever classic hymns album available exclusively at all Cracker Barrel Old Country Store® locations and CrackerBarrel.com, as well as his first studio worship album since 2008, Sovereign, which took a Top 10 spot on the Billboard 200, as well as the No. 1 spot on Billboard’s Christian Albums Chart. His fourth career Christmas album,Michael W. Smith & Friends: The Spirit of Christmas, will be available September 30, 2014. For more information, visit www.michaelwsmith.com.